Success! 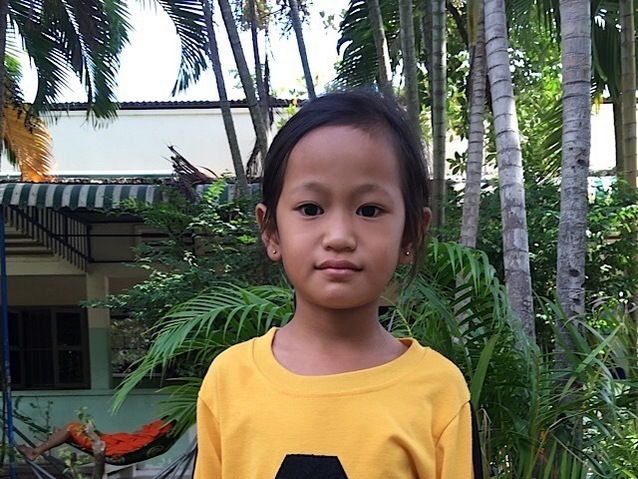 Neath from Cambodia raised $448 to fund burn repair surgery. Neath's treatment was fully funded on July 19, 2018. Neath underwent burn repair surgery. Neath’s surgery went well and she’s been working with the physiotherapy team to improve the mobility around her burn. Surgery will allow Neath to greatly improve her quality of life and allow her to walk and move without pain. 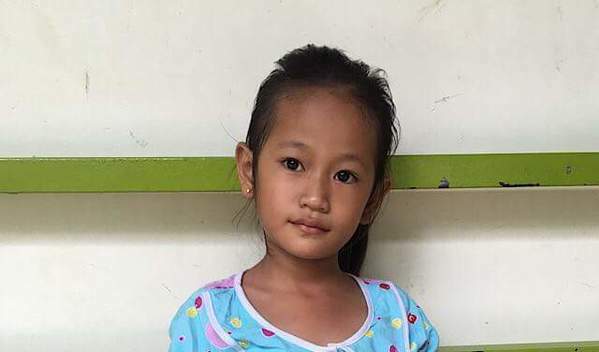 Neath is a six-year-old girl from Cambodia. She has two brothers and a sister. She likes to drink coconut water and play with her friends outside. Two years ago, she was burned by hot water when playing with her brother. Burn scar contractures have developed, tightening the skin around her burn. When Neath learned about our medical partner, Children’s Surgical Centre, she traveled for one hour seeking treatment. On June 5, surgeons at CSC will perform a burn contracture release surgery. Now, her family needs help to fund this $448 procedure. Neath's case was submitted by Lindsay Bownik at Children's Surgical Centre in Cambodia. Neath was submitted by Lindsay Bownik, Stakeholder Relations Officer at Children's Surgical Centre, our medical partner in Cambodia. Neath received treatment at Kien Khleang National Rehabilitation Centre. Medical partners often provide care to patients accepted by Watsi before those patients are fully funded, operating under the guarantee that the cost of care will be paid for by donors. Neath's profile was published to start raising funds. Neath's treatment was successful. Read the update. Neath's treatment was fully funded. The patient will have burns on one or multiple areas of his or her body, which can be both functionally limiting and cosmetically uncomfortable. Burns can become infected and necrotic. Scars or contractures may form where the individual has been burned. This causes the skin to tighten, making it difficult for the patient to move the affected area. This condition can limit function, especially if the contractures form on the patient's hand. Contracture burns are common on young children's hands and feet, and they limit their mobility. As children grow older, they often become uncomfortable about the appearance of the burns. Many Cambodian homes use open cooking fires, which increase the risk of accidental burns. During a debridement procedure, the burned skin is removed under general anesthesia. If there is any necrotic tissue, it is removed by a sharp dissection and cleaned with antiseptic agents. Once good granulation tissues are seen, the area is covered with a skin graft donated from the upper arm or thigh. When scars or contractures form (usually within one month after the burn), a z-plasty is needed. Surgeons make a z-shaped incision along the contracture area and release the tightened tissue. Dressings are applied. Additional post-operative care might involve physiotherapy and pressure garments. Patients will experience increased function, reduced pain, and a much lower risk of infection. If less than 40% of the body is burned, these burns can be effectively treated through debridement, skin graft, and contracture release treatments. There is a risk of infection, but this can be managed with various forms of daily dressings. Skin grafts and other burn treatments are accessible at local clinics and hospitals. However, if patients are poor, they often resort to traditional healers. Kelly is a young student from Kenya. He is in first grade. Kelly was diagnosed with cryptorchidism, a condition in which one or both of the testicles remains undescended. If left untreated, Kelly has an increased risk of developing hernias, testicular cancer, and fertility problems in the future. Kelly will be receiving assistance from our medical partner, African Mission Healthcare Foundation (AMHF). Fortunately, he is scheduled to undergo corrective surgery on April 23. AMHF is requesting $459 to cover the total cost of his procedure and care. “I have been worrying about Kelly’s condition since January when I found out. I am hopeful surgery will be successful," Kelly’s mother says.